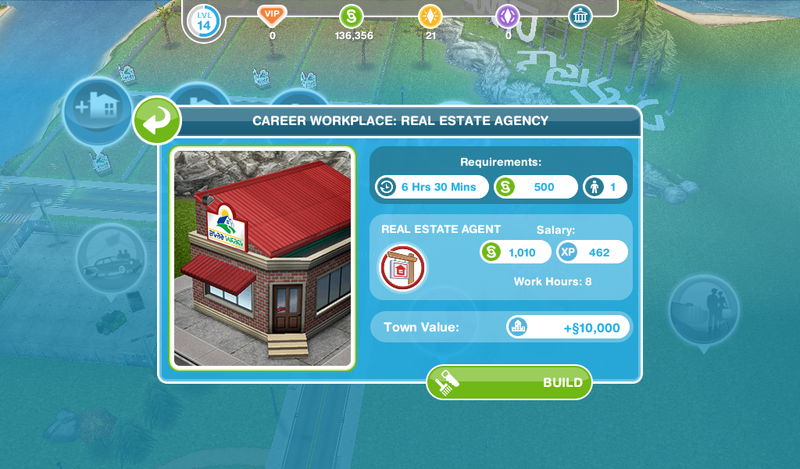 You can now build longer 36×18 houses and join the Real Estate Agent Career! Can I complete this quest even though I have passed level 9? Blue footprints appear when your sim cannot access an item you want them to use, you need to either rotate the item or move an item that has been placed in front of it so they can use it. 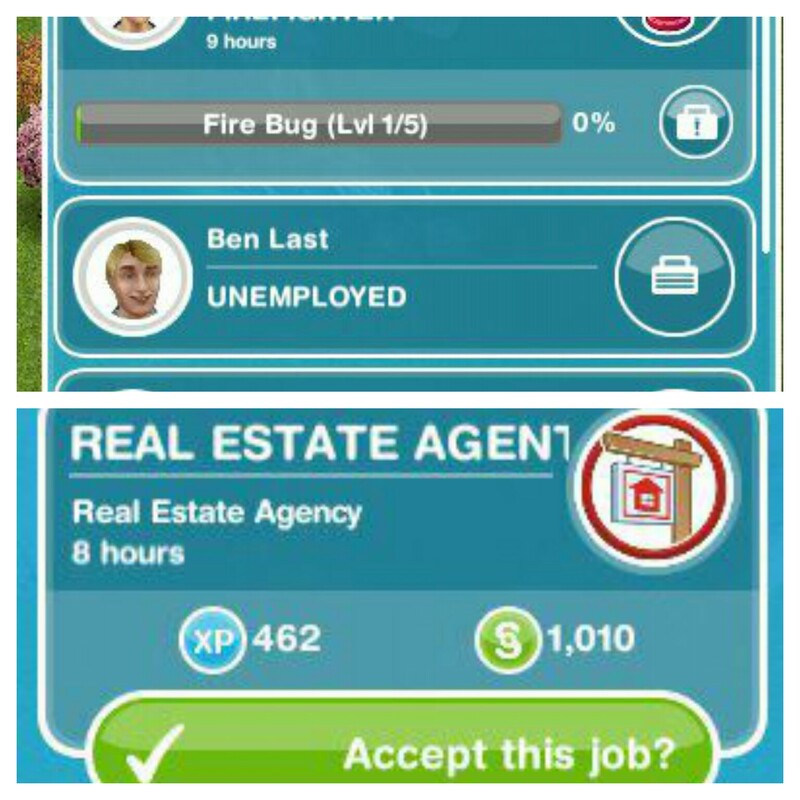 Yes you have to finish it to unlock the real estate career and premium (larger) houses before you can move onto the next quest. Times may vary depending on the star rating of the item you are using, as the higher star rating an item has the quicker you will complete a goal. This will be because the quest has been updated recently, I try my best to keep these posts up to date but it is difficult as I cannot redo every quest each time the game is updated. If you notice any changes please let me know so I can update the post. 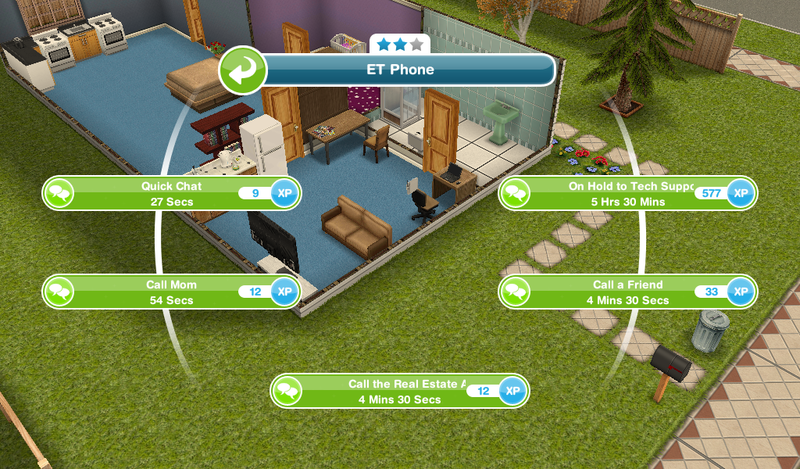 I finished this quest in time (I’m playing on my Android phone SimsFreeplay) but I did not get the house. I can’t find it anywhere? 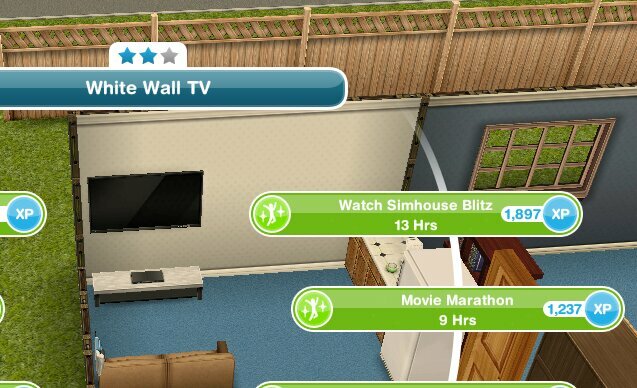 hi how do you perform “Watch sim house blitz on tv” ? have you tried moving it onto a surface with space around it so they can access the magazine? Hi, I’m on the have a sim dance to a stereo last quest, however I did not see any button for this quest, even thou I already made them a dance .. still cant.. I believe the quest has already due date. how do I go abt it? 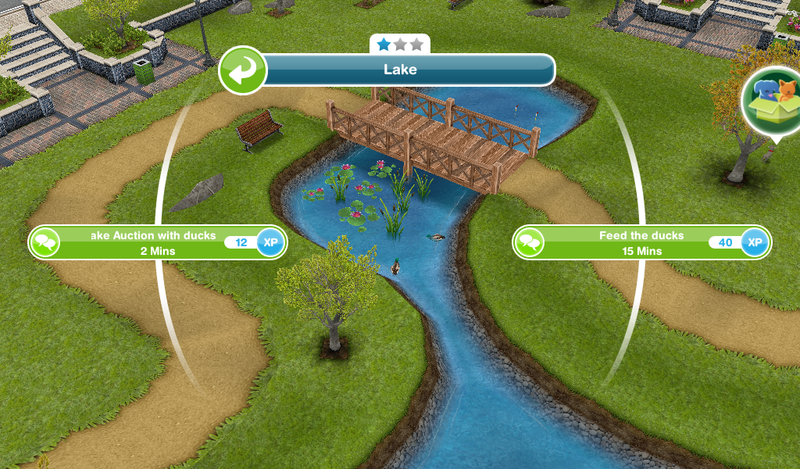 How can my sim go to the park? Baking the pumpkin pie doesn’t seem to be part of this quest anymore, unless it come after building the real restate office (still working on it). 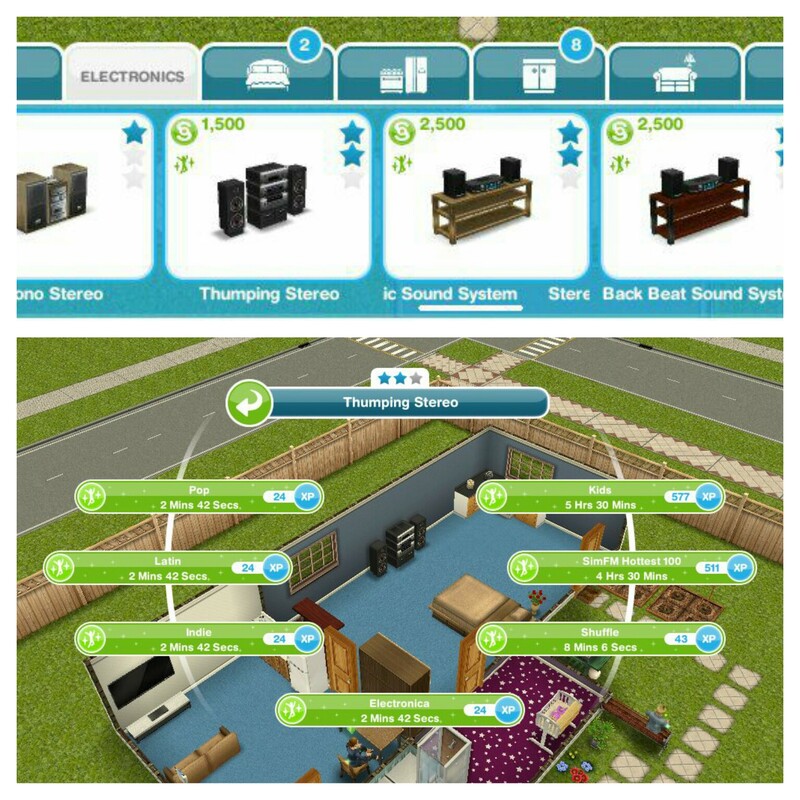 how can I complete the quest “have a sim dance to a stereo” ? ?..Should I have to buy the speaker..? sorry my bad english..
Could you not download your saved data from the cloud? This quest won’t be in your queue if you have already started it, it will be in your active tasks. Once the time limit is up you just continue the quest where you got to but you won’t be able to start the next quest until this one is complete so click on active tasks (just above your sims needs bar) and you can find out which goal you are on. Hi! I just finished this quest, looking around in the LP section for the Beachside Escape, but could not find it. I found it in the Simoleons section. 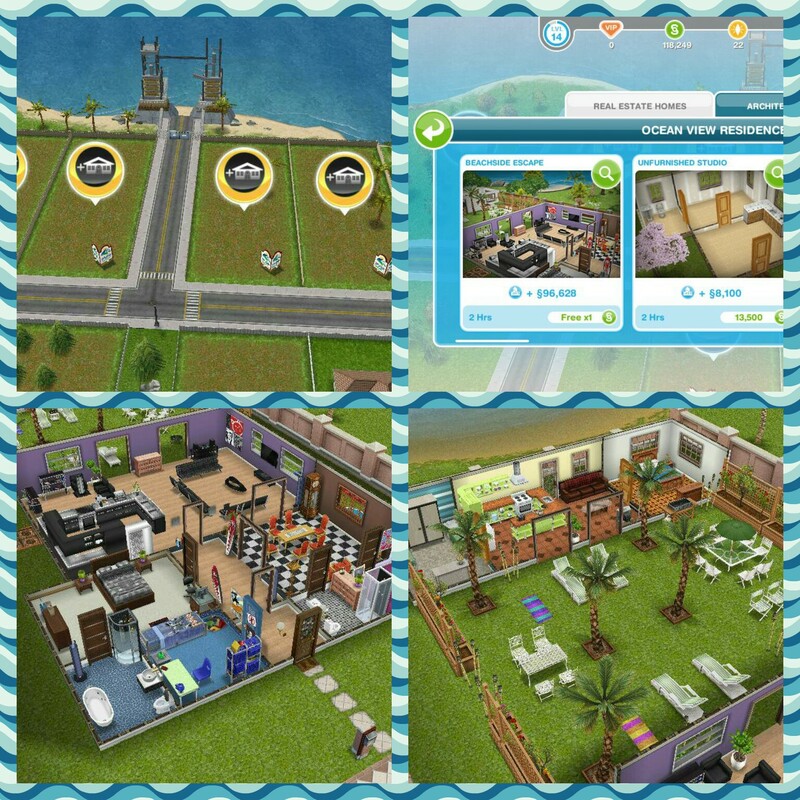 It is 150.000 Simoleons now. BTW: Thanks for your help! How do I do a fake auction for ducks? I don’t have an auction podium? Where can I buy one? Is it possible to reset the timer for any of these quests? I started this quest but was unable to play for a while and my timer expired. you can buy one from the electronics section of buy mode. I bought the house from this quest, and idk what happened. I was supposed to keep the items from the boy’s room in my inventory so I could put the crib in first for the baby. But when I looked back to see the items, it was gone. *sigh* What do I do? Can this be undone? Why are there 2 versions? Is one like iOS and the other android? Plz respond as I am planning this out. Because they have updated the game on some devices and not others but I don’t think it is separated into android and apple versions. Hey I competed this competed quest but it won’t give me another one? you have to reach level 10 to unlock the next quest. I thought that since I finished the quest in that time, it’d give me a free house? Because I don’t have enough of anything to buy a house… don’t really see the prize. No, it isn’t free, like it says in the post it costs simoleons. Can I complete this quest even though I am passed level 9? If you don’t finish the quest in time, you can still have a beach front house, just not the prize one? 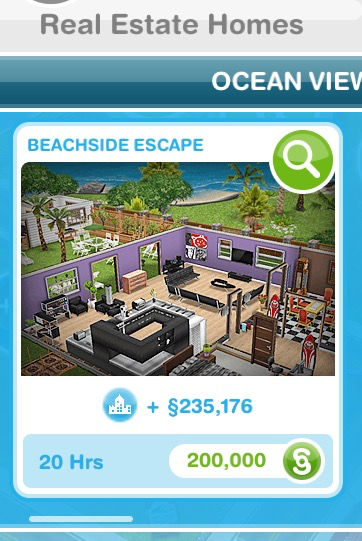 You will not get the beachside escape property but you will be able to build premium houses on the larger house lots. Hi! why are my ocean view empty lots different from some other players? Like mine is the common one with white-pink surrounding walls by the seaside everytime whilst the others I see they have those something like in a forest with dirtpaths. The roads are different and their walls too. And theres also this particular exterior wall, the yellowish white bricks like of a castle? I don’t have that one. What does that mean? I did not complete my quest on time..And now I cant go ahead.. What to do? You still have to finish the quest before you move on, even if it isn’t in time. I did the quest in time, and gained the option to build the Beachside Escape, but it won’t let me build the first one for free. It just gives me the price, no other words or numbers. Why is this? Try restarting your device and see if it works this time. The cost depends on how many houses you have already built as the price increases each time you build a new house. If I place the free house, does it make the prices of the other houses go up? If I choose to build another house first, will I lose the free house? The price for the other houses will increase once you build the free house but if you don’t choose to build it straight away it will still be free once you get around to building it. Please how can I buildor place outdoor items on the beach beyond my fence. I’ve been seeing quite a number of simmers playing in the beach beyond their fence. Second question please: Can we now build rooms on balconies? That’s something else that I’ve been seeing. An entire deck of rooms build on a balcony hanging over a swimming pool. The first one isn’t a glitch but it is a cheat, you cannot build outside of the area without cheating and I do not recommend that. You can’t build rooms on balconies but you can place balconies around rooms, build the rooms were you want them then add the balcony around the rooms to create this. Is building the real estate agency one of the workplaces where the time is fixed? I hope it is because I don’t want it to take 16 hours since I’ve built 4 workplaces. It should be but I can’t remember for sure, it has been a while since I completed this quest! I’mdoing this quest, but I want to relocate my Sim family to the Ocean View house? 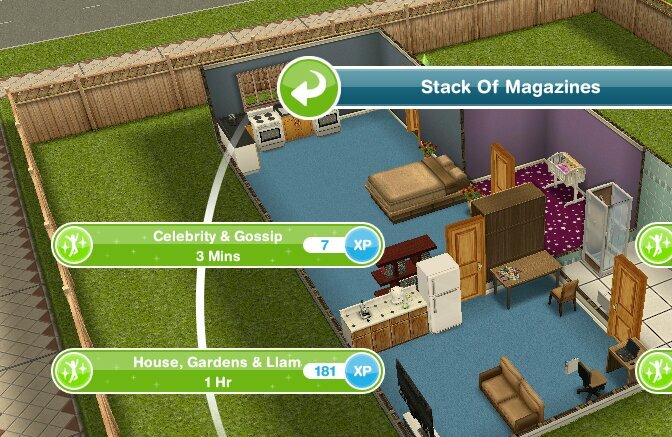 Is there a way to relocate thewhole family without the parents getting a divorce and less Simoleons? Ok, I have enough for that. Thanks! hi, i didnt have enough time to complete the ocen quest, is there any way wear i can re do (even if i have to do all the quests before) it or is it impossible to do it now?? ?